21,000 CWA workers win raises and job protections after 10-month contract fight. After 10 months of contentious negotiations, a contract has been reached between the United States only union wireless carrier, AT&T, and the Communications Workers of America (CWA). The deal covers 21,000 of its wireless-support and retail workers across 36 states in AT&T's Mobility Orange unit. 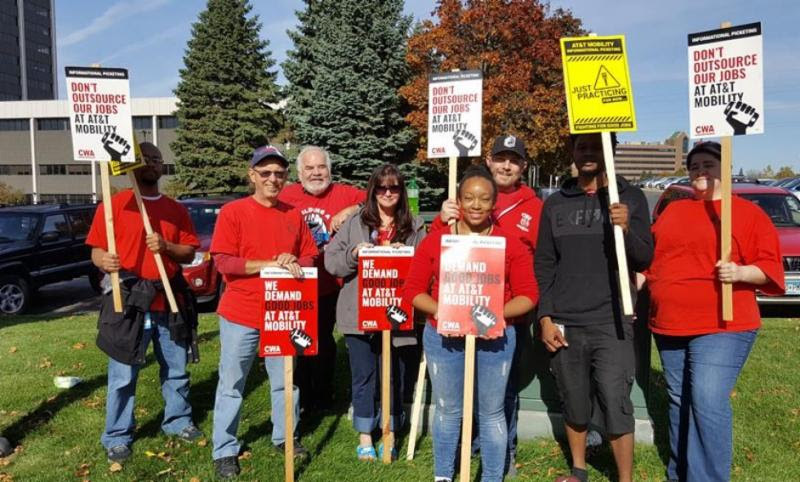 Back in May, UCOMM reported that these employees held a short weekend strike when negotiations between the company and the CWA stalled. According to the CWA, the new contract will include 10.1% raises over the four years of the contract, rollbacks on outsourcing, and a shift of $2,500 in pay from commissions to base pay for retail workers. Under the new agreement, AT&T retail workers will now be paid an average wage of $19.20 an hour. That is better than 74% of retail workers in the country.